We are excited to announce our newest integration with SEMrush. They provide both competitive SEM & SEO data on websites. 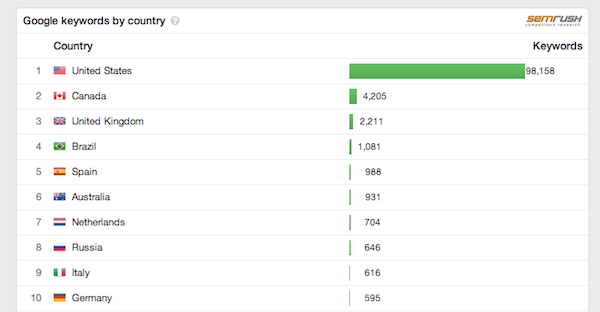 In Follow you will see several new SEMrush reports under our SEO, SEM, Display & Competitors overview tabs. 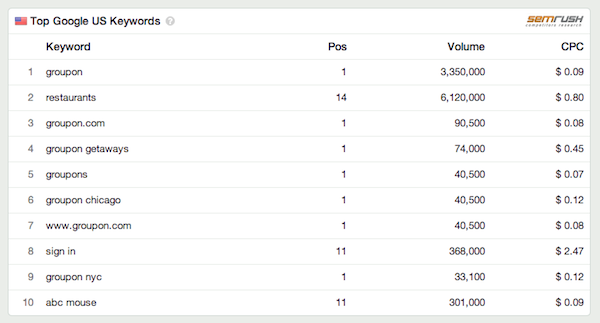 As with all of our 3rd party integrations, we only show some of their high-level top datasets. If you want all of their data, you’ll need to sign up with them directly. 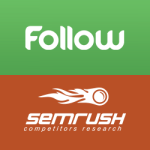 You can sign up for SEMrush by visiting their website. Why are we adding another SEM, SEO & Display data integration partner when we have two already? 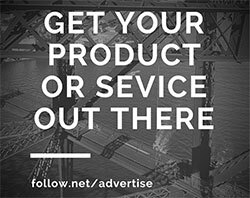 Every company providing competitive advertising data tries their best to get the most accurate data possible. But because no one gets it directly from the ad networks, no one has 100% accurate data. No vendor can tell you exactly how much a website is spending to advertise online, or show you with 100% accuracy every ad they are currently running online. They don’t have to be 100% accurate though. They just have to give you a good enough understanding of a competitor’s campaign to make use of it. 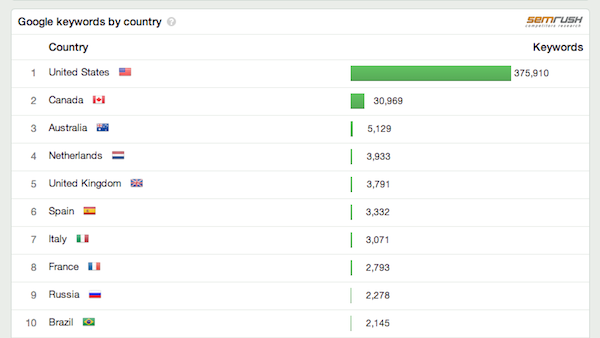 See how many keywords are ranked in Google’s organic search listings, by country. 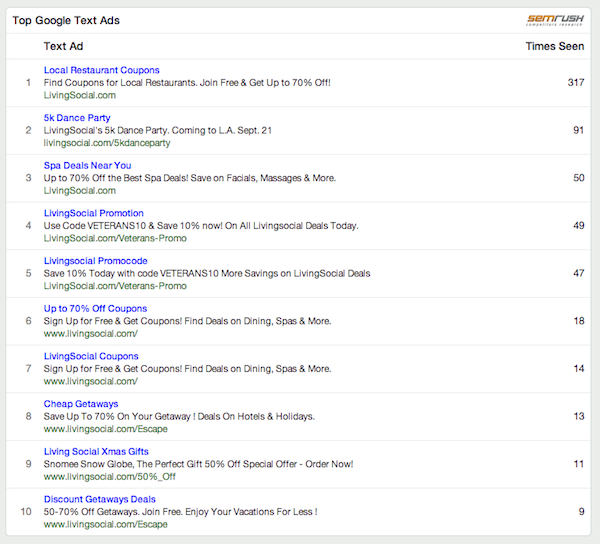 See a website’s top text ads running on the Google Adsense Content Network. 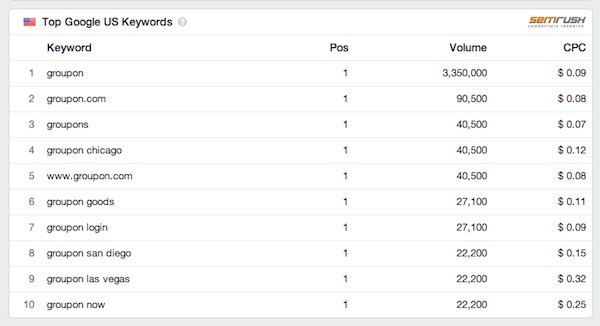 See a website’s top paid search competitors in the US on Google Adwords. 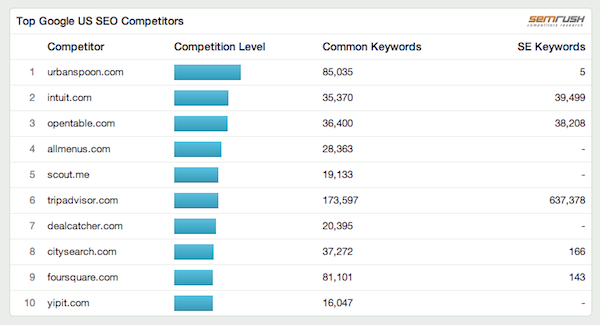 See a website’s top organic search competitors in the US on Google’s organic listings. 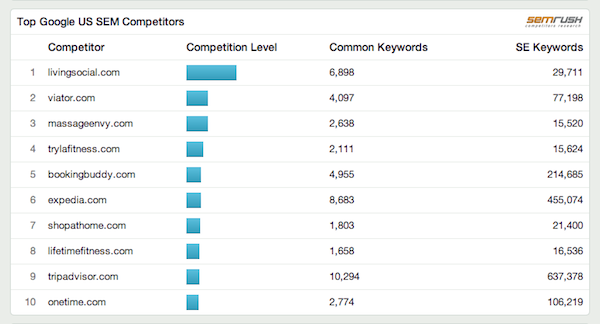 Want more data from SEMrush? Sign up for SEMrush. This entry was posted in Uncategorized on February 11, 2014 by Wes Mahler.